Be a part Rochedale Springwood Lions Club and support the community while having fun. 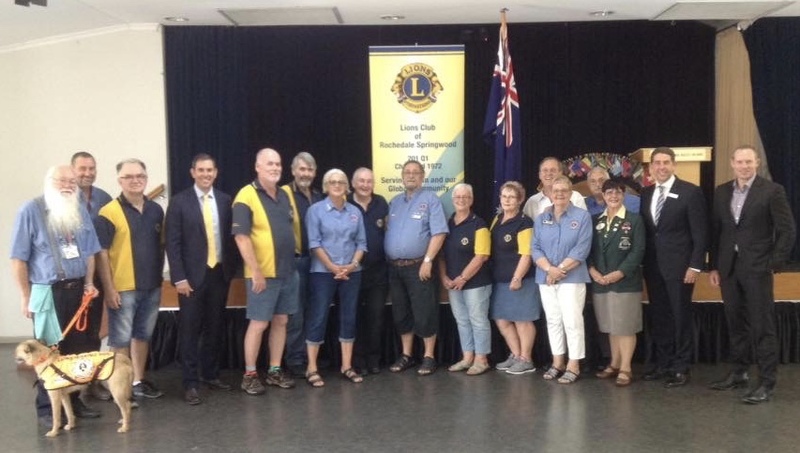 2nd Tuesday of the month at Meadowbrook Golf Club, Golf Course Drive Meadowbrook QLD 4131 - 6:30 for 7:00 p.m.
Rochedale Springwood Lions Club has had a long relationship with Redeemer Lutheran College, and in particular PCC David McKenzie has been involved with the college for many years. Their inaugural Principal, Robin Kleinschmidt has been a judge for lions Youth of the Year project for over 30 years, at club, region and district level, and often mentors other judges. 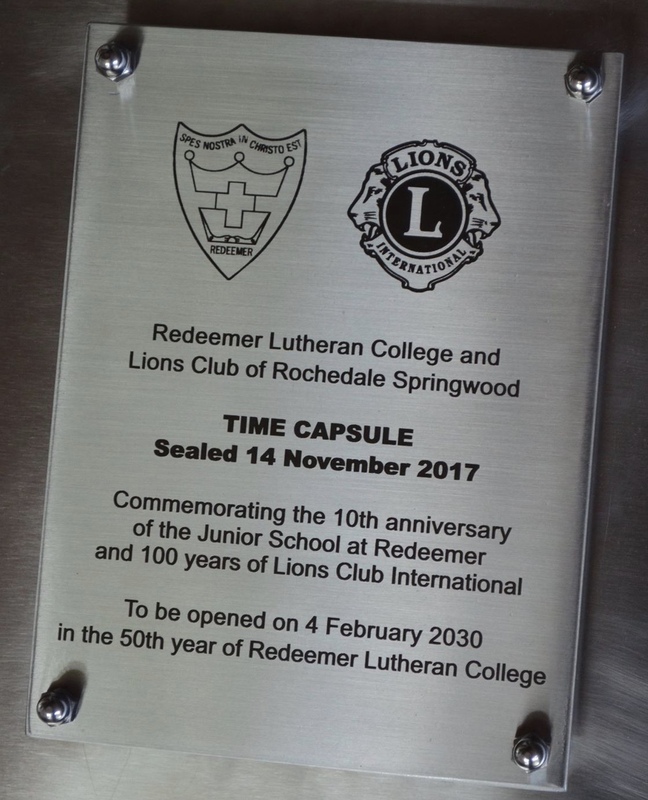 A time capsule was put down at the college 25 years ago, with Lions clubs involvement, and this was brought out earlier this year, with a number of our members present. 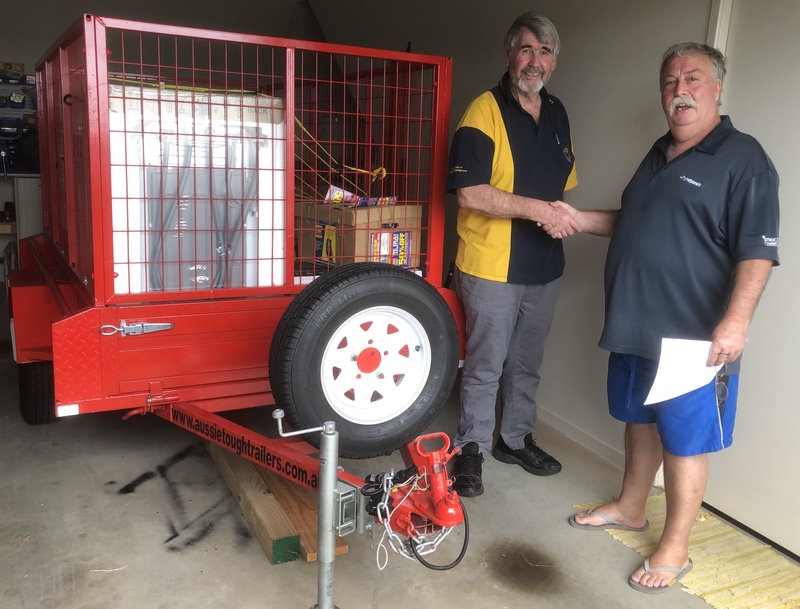 So when the concept of a perpetual time capsule that could be reused was discussed our club jumped at the opportunity to be involved, with PCC David as project chairman, and our club approved the expenditure of $2,300 to pay for the stainless steel above ground capsule.